Brake System Grease reduces noise, wear in extreme environments. As pure silicone dry-film lubricant fortified with ceramic, CRC SILARAMICÂ®Â reduces brake noise and vibrations by dampening all brake vibrating frequencies. Operating range of -50 to over +3,000Â°F accommodates all types of brake materials. Engineered to last for life of brake pads and prevent uneven pad wear, product contains corrosion, extreme pressure, and oxidation additives and provides protection in wet and dry conditions and will not melt or run off onto friction pads or rotors. 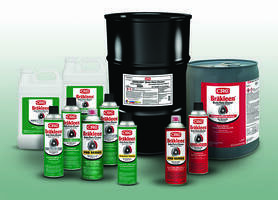 WARMINSTER, Pa. -- CRC Industries, Inc., manufacturer of industry leading brake parts cleaner CRC BRAKLEEN, has introduced CRC SILARAMIC Brake System Grease, a pure silicone dry-film lubricant fortified with a high concentration of a unique ceramic and designed to reduce brake noise and vibrations by dampening all brake vibrating frequencies. "CRC knows brakes," says Louis Fresta, CRC vice president of Sales and Marketing. 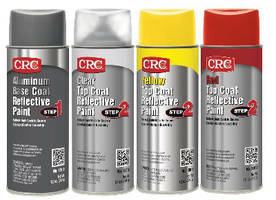 "CRC invented the brake parts cleaner category in 1971 when the company developed CRC BRAKLEEN, the first aerosol brake parts cleaner on the market." BRAKLEEN was a significant advancement for the automotive repair industry in the 70s, and CRC continues to innovate and lead in the brake maintenance category today. Fresta states, "Our new SILARAMIC Brake System Grease is a perfect example of CRC's commitment to innovation. Our team of technology experts has developed a superior product that outperforms ordinary caliper and brake system greases and is engineered to last the life of the brake pads and prevent uneven pad wear. This is a hard-core, high-performance grease." CRC SILARAMIC is formulated with pure silicone and a blend of ceramic and proprietary lubricants, and contains the latest corrosion, extreme pressure and oxidation additives. It dramatically reduces brake noise,prevents disc brake squealing and chattering, and silences calipers. SILARAMIChas an extremely wide temperature range of -50 degrees F to over 3000 degrees F (-46 degrees C to +1649 degrees C) which makes it ideal for all types of brake materials, including ceramic brakes which operate at extremely high temperatures. It offers unsurpassed protection in both wet and dry conditions and will not melt or run off onto the friction pads or rotors. Fresta recommends that SILARAMIC be used to protect all moving caliper hardware, mating surfaces and backing plates to provide lasting protection against friction, wear and corrosion. CRC SILARAMIC Brake System Grease is available through automotive wholesale distributors and retailers. CRC trademarked brands include: CRC®, K&W®, Sta-Lube®, and Marykate®. CRC is ISO 9001:2008 certified and adheres to the strictest guidelines for quality in all facets of research, development and production. Lock Lubricant, De-Icer reduces friction and wear. Anti-Slip Paints withstand tough industrial applications. Electric Motor Grease offers optimized thermal stability. Reflective Paints use glass microsphere technology. Silicone Pressurized Tubes let users control bead width.